"Refreshing Take on Inner Game and Attraction"
This is refreshing content that will help most people, no matter their level, to bring any other dating advice they have learned (particularly originating from pick-up / seduction community) together into context with a healthy long term approach towards attraction and women. If you are new to dating advice or have become dissatisfied with this aspect with your life despite being superficially successful with women (e.g. have one or more girlfriends, or regular sexual partners), this would be a good time to see this for you. Zan whilst having a background from the seduction community, has a very different approach towards women, which sets the whole tone of his products. You will find nothing negative in it, and it embeds a very healthy long term view towards this aspect of your life and longer term relationships. Zan himself, has long stood out in the seduction community for his positive and long term relationships with women. The most valuable thing about this product is Zan’s approach towards women and attracting them. He takes you away from all the tactics and manipulation that is inherent in some of the pick-up artist or seduction products, and brings a valuable perspective on the natural development of attraction and relationships between women and men. It is innovative to the extent that he has been able to bring together knowledge of inner game, the traditional romantic view towards women, attraction and love and the seduction community. This will be valuable for guys who are new to dating advice by providing them a good foundational mindset and principles to build from. For these people, this product will help to vaccinate you from some of the negative aspects and information found in the seduction community and products. In addition, if you are uncomfortable with the approach the seduction and pick-up artist products typically take, you will find this product much more acceptable. Cure for The Dark Side of Dating? I would also recommend this product for guys who have been learning and developing their dating skills for a while, and potentially have gotten a lot of success with women, but find that their quality of life hasn’t improved that much as a result. In particular, if you feel uncomfortable with where you have come to and the nature of your relationships with women this product will provide a refreshing approach that can turn that around. There is one weakness in this product that concerns me. Zan provides examples of things you can say to women and the approach you can take, which are good, and work very well. With an important caveat. If you have value. If you are a guy who comes across as very nervous and uneasy with yourself it won’t be effective. 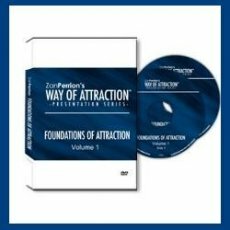 Zan’s intention is that you use his mindset to empower your confidence and undermine the nervousness issue. For some guys, it will take something more practical to help them resolve this first. So be aware of this if you are particularly nervous with women. For example, other inner game products like ‘the blueprint decoded’, provide you some practical exercises and methods to eliminate nervousness. Also, if you are a guy who has not worked on his fashion/ image or lacks the skillset, the negative first impression you are making will undermine this type of approach to meeting and attracting women. So, if this is you, expect to have to upgrade your fashion/ image skills first, before the mindsets and approaches taught in this product start working for you. Our fashion/ image skills products ranking has some suitable support if you need help with this. This is refreshing content that will help most people, no matter their level, to bring any other dating advice they have learned (particularly originating from pick-up / seduction community) together into context with a healthy long term approach towards attraction and women. If you are new to dating advice or have become dissatisfied with this aspect of your life despite being superficially successful with women (e.g. have one or more girlfriends, or regular sexual partners), this would be a good time to see this for you.